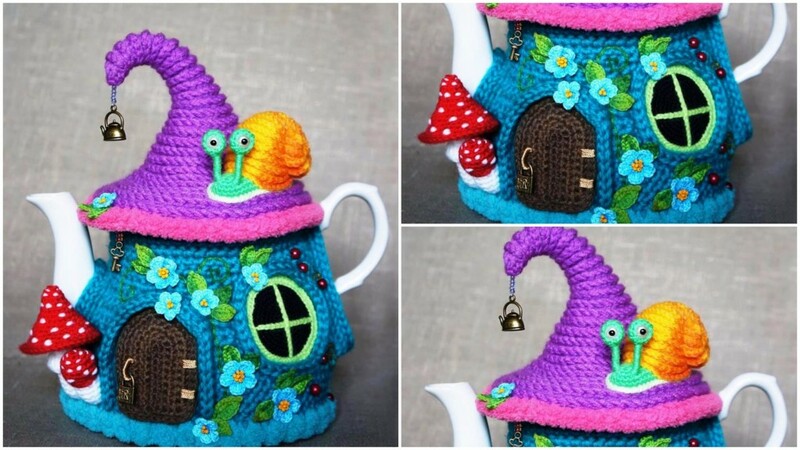 Crochet a heating pad on the kettle “Fairy House”. I think you will agree with me that we are all children at heart a little. I’ve been very fond of fairy tales. I like to watch them, read, and … tinkering. But since I am also practical enough people (or at least, trying to be so), I like to combine a story and a life. Maybe you want to create a piece of quite practical tale, linking water bottle on the kettle “Fairy House”. This retain heat tea, cheer up, will be a real decoration of your kitchen. And of course it is a perfect gift to relatives and friends.